I am so happy to be able to come home and watch a sport on TV that I actually enjoy. I ought to watch more tennis year round but Wimbledon is the business. You get the best players in the world come to battle it out on that beautiful lawn. The William’s sisters are still going strong. Earlier this year Serena opened a school in Kenya. Which seems to be the celebrity in thing. Though you can never look down on education. Serena has made it through to the 2nd round at the all England club. Cannot wait to see her play more. Of course I want to see Venus play as well. As for the British number 1 Andy Murray if he won this tournament the press say he will be Scottish not British not English. Which may be why he does not get the crowds going the way Tim Henman did. The British public may warm to him as they see more wins come his way. You just cannot be British one day and diss the rest of the union the next. Anyway not really a fan of Murray. Though finally this morning I learn that Anne Keothavong is the British number 1 female tennis player. She is now ranked amongst the top 50 players in the world. 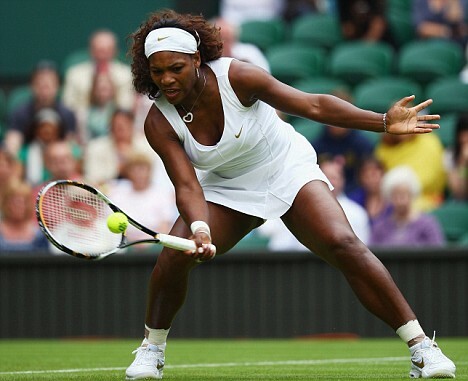 So besides the Williams’ sisters and Federer I will be keeping my eye out on her. Its a pity Rafael Nadal is injured. Last years men’s final was amazing to watch. I love tennis and those two weeks of Wimbledon are pure joy. Thanks to the extensive BBC coverage, I can keep up to date with the goings on at SE19. I wish I was on holiday so i could enjoy it. I just glimpsed on the widescreen at work Venus make it to round 2 today.